Var, not the pooch pictured, the police dog has added one more brave arrest to his record — his last one. 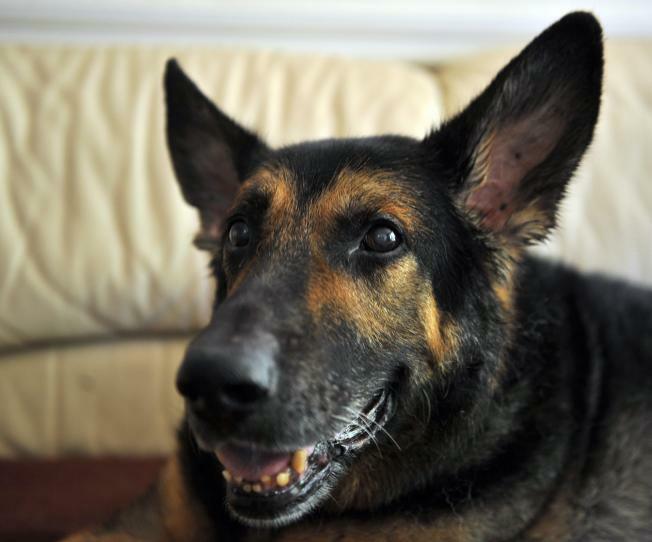 Var the police dog has added one more brave arrest to his record — his last one. Spokane police officers say the dog was on his last night of patrol before retirement when he cornered a teenager sought for investigation of murder. A tip led officers to surround a house Sunday night, and in the ensuing search Officer Dan Lesser and Var found the 19-year-old suspect hiding in the basement. Three other teens were being sought in connection with the stabbing death of 22-year-old Shannon Cochran. It was Var's last night on duty after 8 years in service. The dog retired Monday because of medical problems and his replacement, a German Shepherd from Germany named Cisco, was flown in the same day.